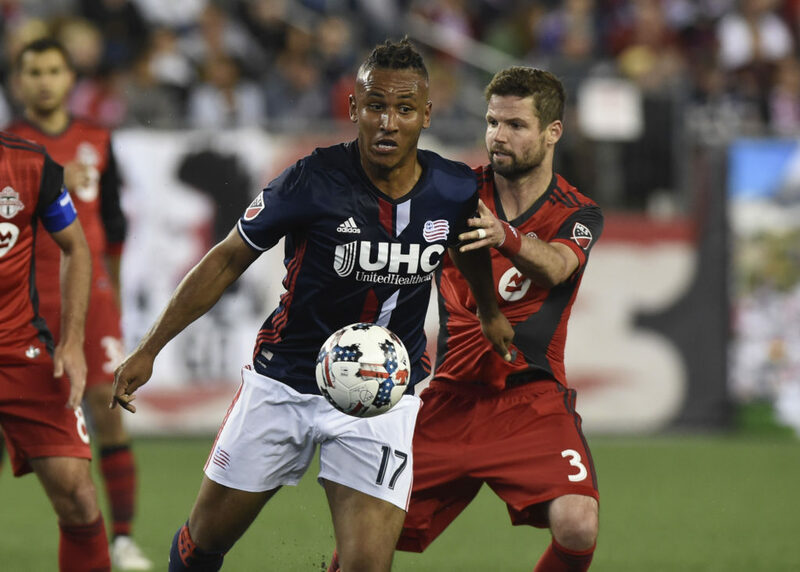 Home » Analysis & Opinion » Toronto FC vs New England Revolution: Can TFC Escape From Foxy Foxborough With Points and Injury Free? Toronto FC vs New England Revolution: Can TFC Escape From Foxy Foxborough With Points and Injury Free? After Wednesday night’s loss to Seattle, a trip to the terrible turf in foxy Foxborough sounds mildly terrifying. With the list of Toronto players in sick bay growing seemingly every day (Victor Vazquez and Nicolas Hasler now added to the list), having the team play where Danny Koevermans’ ACL went to die is mildly worrisome. However, that is the card they’re dealt with, so everyone cross your fingers and get out your #HamStrong™ bracelets. The tea terrorists are one of the teams that still kind of have Toronto’s number, they’ve got the edge in wins historically, they won both games at Gillette last season (yes, TFC won the match at BMO), but these are usually matches to be wary of. TFC are starting to get to that desperately in need of points moment – I know, I know; the MLS season is long, and a slow start can be overcome, and Toronto is a very talented team, but….if you’re not feeling a bit worried can you pass your coping techniques on to me? Appreciated. New England have a few injury woes of their own – not nearly as many as Toronto, but then again who does – they’ll be missing Juan Agudelo with a hamstring injury (they’re all the rage right now), so that’s good news for TFC. They’re also now officially without Lee Nguyen, who was finally set free on trade deadline day to go frolic in LA. However with everyone’s least favourite colour, and the VMP’s favourite swear word playing well, Toronto aren’t out of danger – expect some goals on this one. I put Irwin in not because I think he’s playing poorly, but given the rate of injury, the number of games that have been and still need to be played – having some fresh legs (and a very competent player getting minutes) isn’t a bad thing. I do think two strikers is the way to go – someone for Seba to play off of, as well as hold up the ball/distract the defence etc, would be valuable. The attack lacked sharpness on Wednesday, additional options could help. TFC may be the deepest team in MLS history to be near the bottom of the table, the best MLS team in history to be at the bottom of the table. What is Duncan going to say when he gets back from his holiday…seriously? It is mind-boggling. I can genuinely get excited about Hamilton and Chapman in the line-up. Remember that goal that went JO–>JH–>JC (superstar) – J’s on the war path, but do we really have to live through another under-performance from #meh-ketex and his #fakeGOALS. How is Mavinga doing? He seems to be undergoing the longest “just about ready to return to the line-up” stretch in the history of this club. The wear starting to show on MB and VDW. It doesn’t look good but the Reds are going to have to pick up away at the rate things are going and it might as well be today.